Nutro Wild Frontier Grain Free Chicken Dry Dog Food, 24 lbs. The Nutro Company has strived to feed your dog the best nature has to offer. Nutro Wild Frontier recipes are driven by nutrition that satisfied your dog’s natural instincts. Nutro recognizes that dogs are true descendants of wolves, who hunt to satisfy their instinctual hunger for protein rich, grain free food. 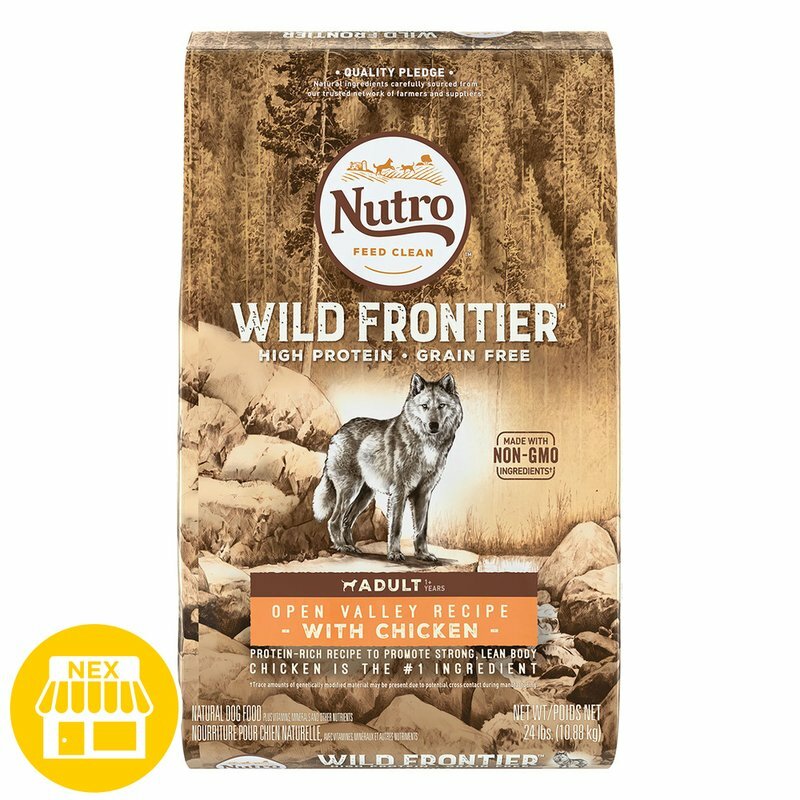 NUTRO Wild Frontier recipes combines the taste and nutrition an active dog naturally desires, along with the steady energy they need to run and play all day.